9/7/2017 – Healthy Aging Month® – Stay Active and Vibrant as long as possible! Healthy Aging® Month is an annual observance during the month of September which was designed to focus national attention on the positive aspects of growing older. 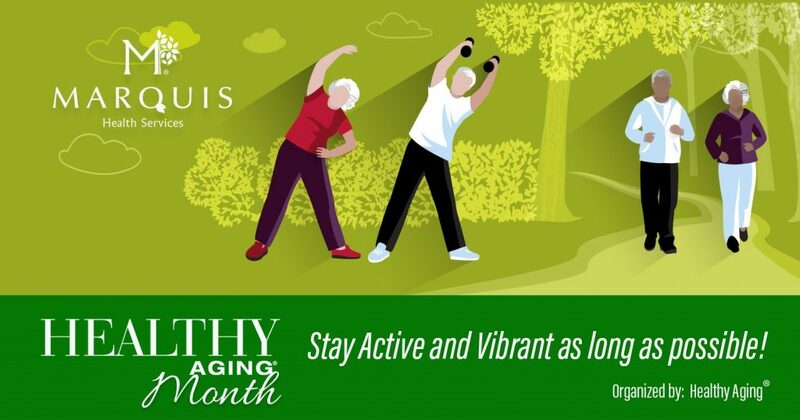 The mission of Healthy Aging® Month is to encourage local level Healthy Aging® events that pro­mote taking personal responsibility for one’s health… be it physically, socially, mentally or financially. Are you looking for ways to “reinvent” yourself this month? Be sure to read Healthy Aging’s “10 Tips for September – Healthy Aging® Month” by clicking here.